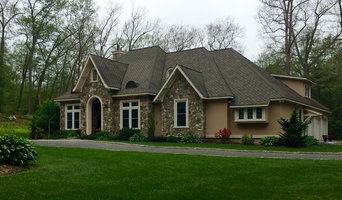 KV designs is a small, client centered architectural firm, located in Old Saybrook, Connecticut. Our goal is to make our clients an active part of the design process and to produce responsible architecture. Our ability to communicate effectively with you, the client, allows us to successfully translate your ideas and preferences into quality architectural design. We strongly believe responsible design is a result of excellent listening skills and well-defined client goals. Our professional knowledge and experience is reflected in all of our projects. We work with a broad client base in the residential market, accessible to everyone, from high-end residences, to smaller interior renovations. We devote the utmost attention and enthusiasm to each project. Total Design Source is a Retail Storefront Owned and Operated by Chantal Lawrence, a Licensed Interior Designer. The Store offers home accessories, gifts, art, area rugs and lighting hand selected by Chantal as well as Design Services including, in-home Interior Design Consultations, wallpapers, fabrics, furnishings, custom slipcovers, window treatments, upholstery and so much more. Chantal Lawrence, is a Licensed Interior Designer whose unique vision and artistry has been creating tasteful interiors for over 25 years. She and her staff offer professional design services to those looking to purchase new furniture, fabrics, window treatments, carpeting, area rugs, lighting and decorative accessories. There are a variety of in-home design consultations on their design menu or they can customize the consult according to your particular requirements. In-home Design Consultations are offered on their Design Menu, if you don't see what you want, just ask, they are always happy to help. We can Design your interior according to you taste, lifestyle and budget. Contact us at www.tdesignsource.com for your next interior project, nothing is to big or small for our staff of professionals. Hanford Cabinet & Woodworking, Inc.
Hanford Cabinet & Woodworking’s beginnings are a love story of sorts. Owner and founder Stephen Hanford established the renowned Kitchen and Cabinet firm in Connecticut over 35 years ago, based on his love of wood and the inherent beauty and warmth that it brings to life. Explore the imaginative remodeling options that Hanford Cabinet & Woodworking can provide you: - View all lines of Products, including custom and quality brands of Cabinetry, Countertops, Furniture, Appliances and Plumbing Fixtures. - Learn more about the People and passion of Hanford Cabinet & Woodworking. - Let us guide you with proper Planning for your design needs and view our Gallery of work for inspiration. - We welcome you to visit our two-story, timber framed Kitchen and Bath Showroom in Old Saybrook, CT.
We strive to build solid, functional homes that stand up to the rigors of the coastal environment and endure for generations. Contact us to schedule a meeting. We work hand-in-hand with homeowners, designers, and architects to provide a personalized experience. The Store: For over 35 years Saybrook Home has been known for the exceptional quality of our furniture and having something for everyone. Whether it’s a classic dining room, a casual family room with a coastal feel, or a beautiful romantic bedroom, we make it easy to find a look that reflects your personal taste and lifestyle. The Process: It all starts with a thoughtful floor plan. With a good design, you can turn a so-so space into an amazing space! Get professional advice on how to make your interiors as beautiful and functional as they can be. Furnishing a home is uniquely personal. For that reason, scheduling an in-home consultation is an important part of the process. 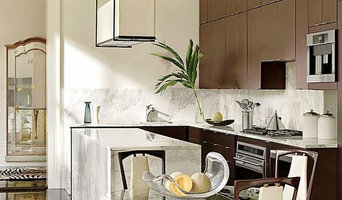 The Designers: Let our talented design team guide you through every step of your home project. Think of us as your personal shoppers. We carefully select the furnishings, fabrics and finishes that reflect your taste and lifestyle. We want you to enjoy the process of designing your home and avoid the frustration of pouring over countless options. Together we can create the space you have always desired! 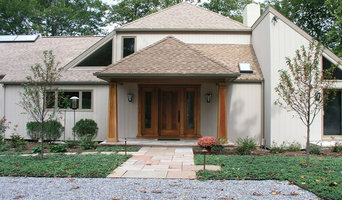 Energy Star Certified Home builder located in Mystic, CT Builder of green, efficient and functional homes. PV panel installation available. Custom, Design build or we will work with your architect. We believe that if you are willing to put your faith in us, it’s our obligation to exceed your expectation. We Promise to always act with integrity and to deliver high-quality products and exceptional service. Viking Kitchen’s roots in the building and home improvement industry date back to 1961, our commitment is still to our customers and to our industry. We are committed to delivering an unparalleled value and experience to our clients. We firmly believe that the quality of any business rests on the quality of the people behind the name. And we are confident we have the best team in the business. We look forward to working with you! Sensible Home Products is a family owned and operated Home Remodeling Company specializing in Energy Efficient/Energy Saving Products and Services for your home. With over 30 years of experience in the industry, we have built our reputation on Superior Products, Impeccable Craftsmanship and always treating your home as if it were our own. Please call us today for your free, no obligation estimate and learn for yourself why Sensible Home Products is the choice that makes sense for all your home remodeling projects. But before you start sending out dozens of emails and making phone calls, sit down and think about your project. What's your budget? What is the scope of your project? Will you need more than one type of professional to complete your home improvement project in Westbrook, CT? Can you afford to complete the full project now, or should you tackle it bit by bit? Once you've settled on your project’s priorities, budget and scope, it's time to start researching Westbrook, CT home design professionals. Don't sell yourself short and settle on the first professional you set your sights on. Make sure that you're working with someone local, who can get to the jobsite easily and efficiently. Look into the person’s reviews, ask to speak with former clients and to see previous jobs in person. Take a good look at their portfolio photos: How similar are these projects to your own? Be honest — that mansion might look beautiful, but it might not have a lot in common with your little bungalow. Reach out to multiple professionals — especially for larger projects — and don't settle for the first bid you hear. Comparing multiple Westbrook, CT professionals' bids and experiences can help you find the one that’s best for you. Ask a lot of questions now, so you won't have unexpected answers later. Find a home design professional on Houzz. Narrow down your search by type of professional and location. 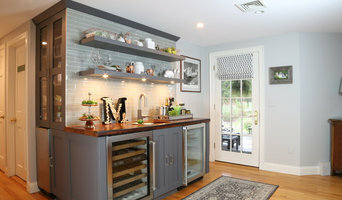 Browse Westbrook, CT portfolio photos, read client reviews and contact each Westbrook, CT professional for more information. Check out the information in the specialized professional sections too for tips on how to hire the right professional for your project.